Lamentation premiered in New York City on January 8, 1930, at Maxine Elliot’s Theater, to music by the Hungarian composer Zoltán Kodály. 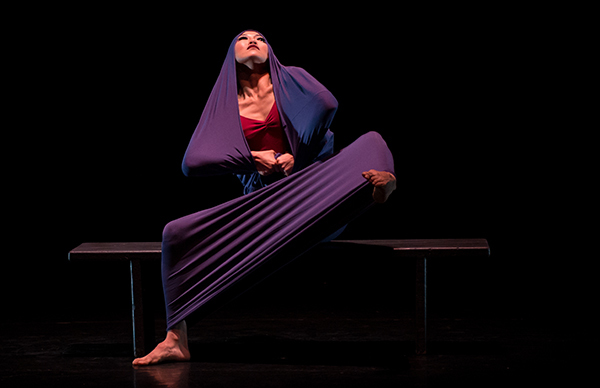 The dance is performed almost entirely from a seated position, with the dancer encased in a tube of purple jersey. The diagonals and tensions formed by the dancer’s body struggling within the material create a moving sculpture, a portrait which presents the very essence of grief. The figure in this dance is neither human nor animal, neither male nor female: it is grief itself.